On Sunday the 25th June, UKAFH attended a hunt at the ‘Mecca of palaeontology’; namely Lyme Regis in Dorset. Lyme Regis is where fossil collecting and palaeontology all began and where, in 1811, Joseph Anning, the older brother of Mary, dug up a skull of an ichthyosaur on the ledges on the beach. At the time, he thought it was a crocodile but the significant find was followed by Mary’s own discovery of the skeleton that accompanied the 4-foot long head and the rest is history, as they say! Mary Anning went on to become the world’s most famous fossil collector and the discoverer of ichthyosaurs, plesiosaurs, pterosaurs, fish and countless other fossils from this very location. She undoubtedly paved the way for this newly evolving science at the time. The hunt begins along Monmouth Beach. The ledges were revealed as the tide retreated. Although nobody in the UKAFH party found anything as spectacular, the coastline at Lyme Regis certainly sets the scene for any fossil enthusiast. The constantly crumbling cliffs can reveal ammonites and other fossils on an almost daily basis. This, of course, has its drawbacks also because during the summer months, hundreds of thousands of people flock to the Jurassic Coast, especially to Lyme Regis and the neighbouring Charmouth, to chance their arm at finding a fossil. Consequently, with low erosion rates, particularly during the summer and with every man and his dog combing the beaches, it’s never an ideal time. Undaunted however, our party made the most of dry weather and great scenery. As is usual, we began with a short explanation about the geology and what could be found there. To the west of the Cobb at Lyme Regis is Monmouth Beach and here the famous rocks of the Blue Lias Formation can be seen, extending west to Pinhay Bay. The distinctive cliffs of layered limestone and shale is present, particularly at Ware Cliffs. The rocks are the oldest in the sequence of rocks found along the Jurassic Coast and date from around 199 million years ago. These hard, pale layers of limestone and darker organic-rich shales, also occupy much of the foreshore around Lyme Regis, appearing as a series of ledges on the foreshore at low-tide. The rocks gently dip towards the east and the overlying Shales-with-Beef Member and the Black Ven Marl Member (both from the Charmouth Mudstone Formation) eventually reach beach level, beneath Black Ven and East Beach at Charmouth. Rebecca Walsh found one of a more manageable size. Ammonites were commonly seen but usually in boulders or rocks too heavy to lift! Looking for fossils in the cliffs at this location is both dangerous and pointless. The rocks are under constant attack by the sea and the fossils are washed out of the clays and shales and deposited on the foreshore, between the rocks and boulders on the beach and ledges. Searching in these places is far more productive and members of the party were encouraged to do just that and soon some finds were found. As explained, there is a low frequency of fossils during the peak season and specimens that were picked up were in no way spectacular but they, nonetheless, were representative of the myriad of life forms which were present in Jurassic seas; for this is where Lyme Regis was once located. Then, the current Dorset coast was enjoying a climate similar to the current coast of North Africa and the nearest land mass lie many miles away. Consequently, fossils are mostly of marine origin, despite them being from the time of the dinosaurs. Dinosaur remains and vegetation are rare as fossils at Lyme Regis and such fossils are invariably of those organisms that were swept into the sea, from the nearest land, only to sink into the muds and silts of the ocean floor. However, bones and teeth of marine reptiles, such as ichthyosaurs, plesiosaurs and pliosaurs are common finds but not during our hunt, alas! Our partY reach the start of Pinhay Bay, where our hunt ended. Part of the spectacular ‘ammonite pavement’ at Monmouth Beach. As with most hunts at coastal locations, the best time is to coincide with a falling tide, which is exactly what we did. The walk along Monmouth Beach, traversing rocks and boulders, searching for fossils can be quite arduous and we soon reached the spectacular ‘ammonite pavement, very near to our destination at Pinhay Bay, just as the tide retreated fully. This incredible stretch of foreshore accommodates dozens, perhaps even hundreds of large ammonites among the boulders and in situ on the exposed bedrock. These particular ammonites cannot be collected but their enormous size and abundance makes them worth seeing all the same. Lizzie Hingley’s cracked nodule with a very crushed, calcified ammonite within. On the way, members of the party found a number of ammonite fragments and in the case of Rebecca Walsh, a complete ammonite. UKAFH Leader Lizzie Hingley found a nodule, which looked quite promising until it was expertly cracked open, to reveal a highly an ammonite badly preserved in calcite within! However, she did find a nicely preserved Gryphaea (an oyster) and a large bivalve from the slumped Upper Greensand boulders found nearer to Pinhay Bay. Serpulids (worms), belemnite fragments, gastropods and various bivalves were also found by the party, so despite the finds being unspectacular and few everyone thoroughly enjoyed a sunny (yes, the sun finally came out!) and informative day, on the stunning Jurassic Coast of Dorset. Many thanks to all who attended and made this a very enjoyable event. Please note that the site is given SSSI status, as part of the Jurassic Coast World Heritage Site, so the cliffs themselves are not to be hammered into. This entry was posted in Reports and tagged chippel bay, collecting fossils, dorset, dorset fossils, excursion, fossil collecting, fossil event, fossil hunt, Fossil Hunting, fossil trip, fossils, geology trip, lyme regis, lyme regis fossils, mary anning, monmouth, monmouth fossils, pinhay bay, ukafh. 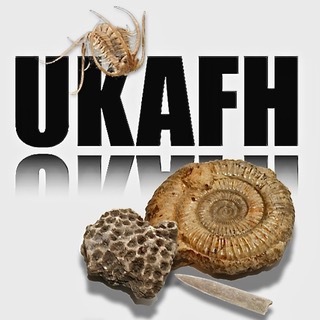 This entry was posted in Photos and tagged chappel bay, dorset, fossil finding, fossils, monmouth, Photos, pinhay bay, ukafh.